Introducing new website visitors to your brand can be challenging. You need to convey your brand message clearly and succinctly to engage your visitors and encourage them to seek more information. Many marketers struggle to accomplish this goal with landing pages with a lot of text, since most people don’t want to read a lot of content on the Internet. Unfortunately, using landing pages with thin content can hurt your SEO and conversions. This is why explainer videos have become so popular. They are great for boosting engagement and driving traffic to your site. More importantly, they are incredibly effective for introducing your brand to new visitors. 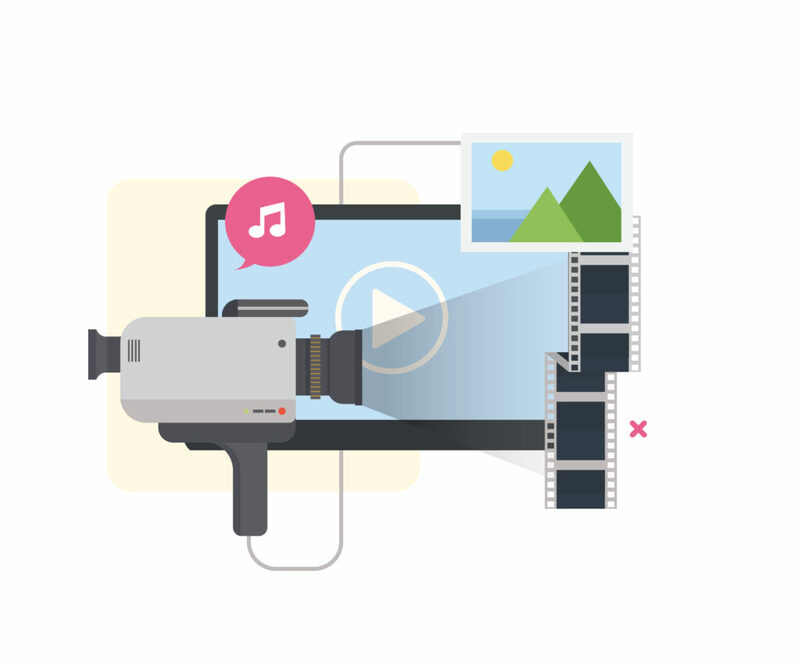 Here are some of the key benefits of using explainer videos. Has this ever happened to you? You discover a link to a website you have never seen before. You get excited and click on it. Once you arrive at the website, you see that the landing pages filled with text that you don’t feel like reading. Your eyes gloss over, so you click the back button after a couple of seconds and don’t come back. The same thing is going to happen with many of your website visitors. They don’t like reading a lot of text, which makes it difficult to lure them in to hear your brand message. They are more likely to listen to your message in an explainer video. Videos are more engaging, so people will be more likely to sit through the entire thing. Video marketing isn’t just great for getting your message across. It is also a powerful way to boost your SERPs. Pages with videos receive 73% more traffic. This figure is expected to rise as Google places more emphasis on visual content and dings pages with low-quality content harder with future Panda updates. If you optimize your explainer video page for keywords targeting people looking for information on new brands, you may attract a lot of highly engaged visitors. One of the main reasons why businesses and brands might shy away from the idea of using explainer videos within your marketing and outreach is that they are hard to make from scratch, and can be very expensive if you hire a custom video design team. This in itself could end up costing thousands of dollars, as you will need a visual designer, a scriptwriter, an animator, and also a voice-over artist. The good news is that there are now better options to choose from. There is no reason why you should have to spend thousands of dollars on a new video or marketing idea, without any indication that it might work. 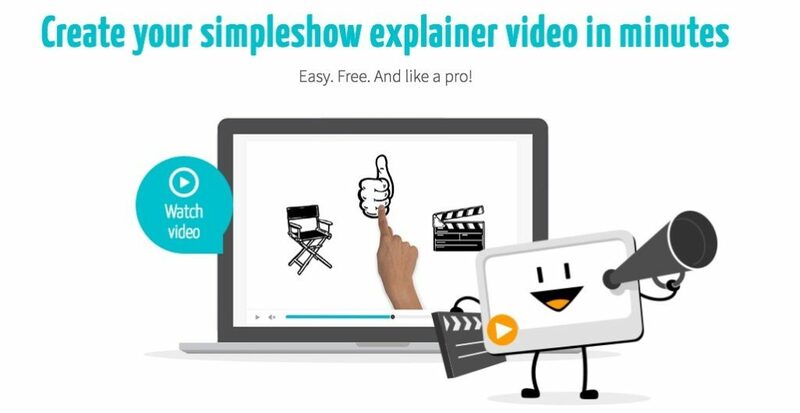 This is where a drag and drop explainer video creation tool like mysimpleshow comes into play. Through their website, anyone can create an explainer video within just a few minutes time, while also having complete control over the content, audio, and usage of the final video content. In fact, mySimpleShow has made the concept of video creation so easy, that people are using the site for ideas you likely even thought of. With more people now focused on visual and video content, and not looking to read articles with hundreds or even thousands of words of text, explainer videos are now getting more attention than ever before. 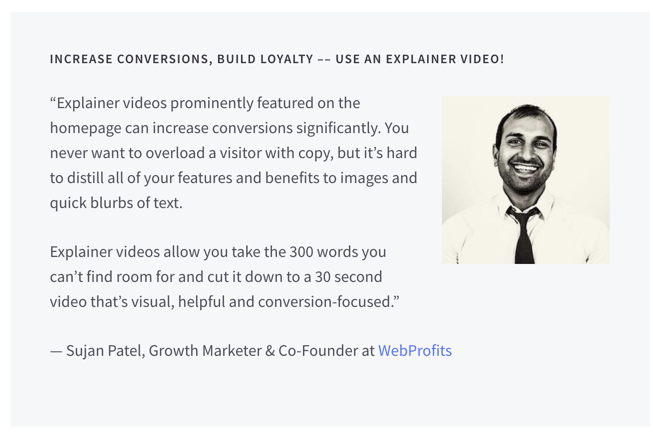 Adding an explainer video to your site can dramatically increase conversions. A survey from Internet Retailer found that nearly 90% of people are more likely to make a purchase after watching an explainer video. Customers are often wary of brands they find over the Internet. They don’t know much about the seller, which makes them hesitant to believe their claims. Using explainer videos makes your pitch seem more genuine. People will be more likely to work with your brand after seeing your face and hearing your voice. Generating more traction on social media is important if you are trying to expand your brand reach. Unfortunately, most brand educational and sales pages get very few shares on Facebook and other social media platforms. They are usually too dry or promotional to get noticed. People are significantly more likely to share web pages with engaging videos on them. Making your explainer video as engaging as possible will increase the chances that you will draw attention from social media. 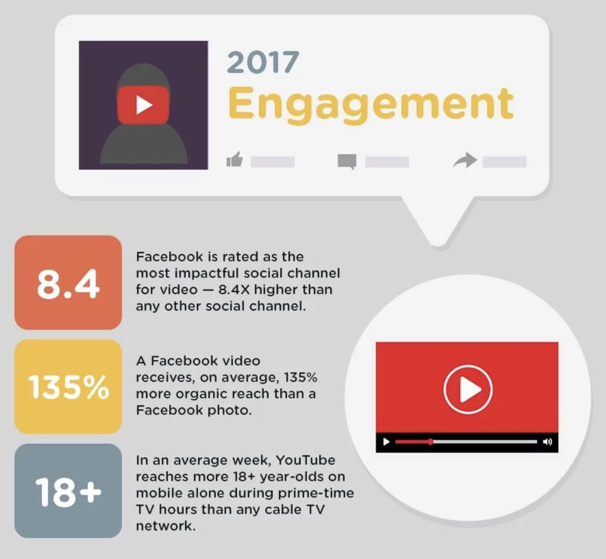 To see the real power and influence of video on social media, check out these industry stats. There is a lot of information that you want to share about your brand. You want to give a general overview of your company mission and the benefits of your product. You probably want to share testimonials from satisfied customers. It is also a good idea to share statistics emphasizing the effectiveness of your products or services. It is difficult to cram all of this information into a traditional webpage. Customers don’t want to click lots of links or scroll below the fold to find everything that you are trying to tell them. The nice thing about explainer videos is that they can be embedded entirely above the fold, so customers don’t need to do a lot of work to find the information you are trying to share with them. Over the last couple of years, a growing number of companies have discovered the powerful benefits of using brand ambassadors to engage with their audience. Most of these companies use influencers to connect with your audience on social media and other sites. Explainer videos provide another opportunity to use brand ambassadors and the results can be far more compelling. You can find a trusted influencer that is willing to endorse your company in one of your explainer videos. This is a great way to connect with customers that respect your influencers. It will shorten the time and effort that it will take to earn their trust and loyalty. Most Brands are heavily dependent on email marketing. Unfortunately, enticing customers to subscribe to a mailing list is not easy. Many customers are disenfranchised by the growing amount of spam on the Internet. Using explainer videos will help you with all three of these issues. 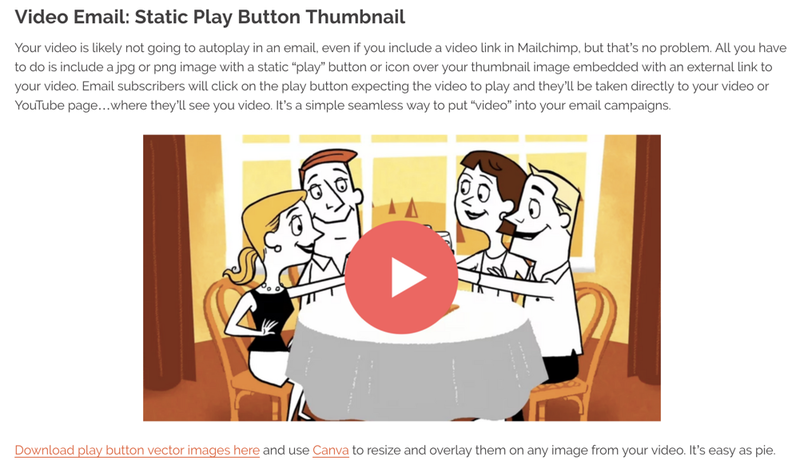 You can easily encourage customers to join your mailing list while they listen to your video. Also, don’t forget that video won’t actually play within an email so you will need to get creative with a static video play button and image, as shown in the example below. Make sure that your video gets straight to the point. Customers may be willing to spend more time listening to videos than reading content, but they won’t want to listen to it forever. Take some time to edit your video for optimal sound quality and visual sharpness. Incorporate any testimonials or other proof points to make your case. If you follow these tips, you should have a very effective explainer video that will drive traffic and boost site conversions.